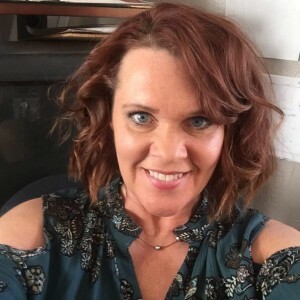 Olivia Sue Conley Hawks, 43, passed away Sunday, February 3, 2019. Born in Morehead to William “Bill” and Maria (Crawford) Conley on March 7, 1975, Liv was raised in Lewis County and lived most of her adult life in Boone County, West Virginia. She was known for her larger than life personality and was loved by all who knew her. Surviving besides her parents are her husband of 23 years, Chuck Hawks of Boone County, West Virginia (she was the boss of Hawks Repair Service and Towing); her three children who will forever mourn her loss and whom she adored, Chelsea Hawks (Wesley “Ox” Branham), Whitney Hawks (Andrew Bolton), and Walker Conley Hawks; three sisters, Amanda Kidwell (DW), Renae Conley, and Ashley Conley (Shawn Carpenter); brothers-in-law, Scotty Hawks (Mary Jo Hawks) and Jason Hawks (Lisa Hawks); sisters-in-law, Kristie Hawks Blair and Kim Hawks Bauer, who will all miss her dearly; her grandparents who cherished her as their first grandchild, Frank Jr. and Ruth (Esham) Crawford; and nieces and nephews who loved their Aunt (Or Uncle) Liv so much, John, Zack, Dylan, Connor, Emily, Charlie, Ethan, Charla, Brittany and Parker. She also leaves behind three beloved great-nieces, Emma, Karlee, and Princess Sofia. In addition to family who will cherish her memory, she will be greatly missed by countless friends across Kentucky, West Virginia, and beyond. She was preceded in death by paternal grandparents John and Bernice Conley; father-in-law Charlie Hawks; and nephews, Silas William Kidwell and Matthew Allen Bauer. Also awaiting their G-mama’s arrival into Heaven were her angel baby grandchildren. Services for Liv will be at two locations, as was her heart. In Kentucky there will be a service at 11:00 a.m. Friday, February 8, at Gaydos Funeral Home in Vanceburg with Sister Jeannie Harris officiating. Family will receive guests from 6:00 p.m. until 8:00 p.m. Thursday, February 7, and from 8:00 a.m. until the time of service on Friday at the funeral home. The West Virginia service will be at 2:00 p.m. Sunday, February 10, at Handley Funeral Home in Danville, West Virginia, with Bro. Phil Rowe and Bro. Matthew Johner officiating. Visitation will be from 6:00 p.m. until 8:00 p.m. Saturday, February 9, at the funeral home. As Olivia’s loved ones mourn the loss of such a beautiful soul, they ask that if you or someone you know needs help, please get help immediately or contact the National Suicide Prevention hotline at 1-800-273-8255.